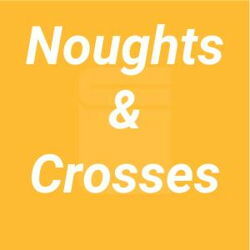 Noughts & Crosses follows the doomed love story of Sephy and Callum, two teenagers kept apart by bigotry, terrorism and injustice. Sephy is the Deputy Prime Minister's daughter from the powerful black ruling class, the Crosses, who falls for rebel Callum, a Nought, a white member of the underclass and the son of an undesirable agitator. The two have been friends since early childhood but their relationship grows ever more complicated as they come of age. Their desire to be together threatens family relationships and social expectations, as well as sparking a growing political crisis. Callum and Sephy are united by a shared sense of injustice as children, and separated by racial and political intolerance as they grow up. As Callum and his family become increasingly embroiled in the Liberation Movement rebellion, he and Sephy must weigh up what they truly mean to each other in a world that is determined to keep them apart. Set in a dystopian reality, Malorie Blackman and Dominic Cooke’s powerful play challenges our modern perceptions of power, race, and truth.